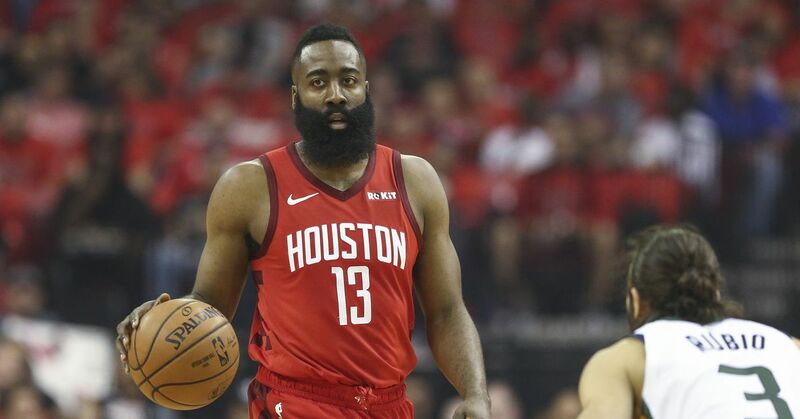 The Rockets absolutely pummeled the Jazz into oblivion, running away with a 122-90 win in Game 1 of their first-round playoff series on Sunday. Houston flexed every offensive muscle, then like Popeye, flexed muscles on top of muscles we didn’t know existed. Utah checked in as the second-best defense in the NBA during the regular season, holding opponents to an average of 105.2 points per 100 possessions. But the Jazz had no answer for the Rockets, and not just James Harden. Harden, of course, was the best player on the floor, turning in 29 points, 10 assists and eight rebounds. Utah tried a unique way of defending him, ushering him to the rim much like Milwaukee did in the regular season. Yet Harden found ways to dice their defense up anyway, shattering an approach that had modest success during the regular season. When Harden wasn’t looking for his own shot, he allowed for others to flourish. Seven Houston players scored in double figures, with an eighth just one point shy. We knew the Rockets would be good. Hell, it’d be negligent to think otherwise. This is a team that was a game away from an NBA Finals appearance last year. Then, somehow, their superstar took his game to astronomical levels. But the Jazz were supposed to be a tough draw, a physical defense that gave a red-hot offense some problem. It’s only been one game, but on the surface, the Rockets’ Game 1 bludgeoning speaks volumes. They’ve had a sour taste in their mouths for a year. Now, it’s time to cleanse the palate. And man, we already thought they were good. Harden averaged 43 points in the month of January this season, putting the Rockets on his back one unfathomable scoring barrage after another. He did all this while his Houston teammates battled injury after injury. Now, they’re finally healthy, and they look like a team ready for war. Houston got off to a terrible start to the season, after a their terrible summer. They let Trevor Ariza and Luc Mbah a Moute walk, signed Carmelo Anthony, then exiled Melo before trading him to Chicago. For a few weeks, the Rockets were laughable. I even wrote they weren’t real threats to the Western Conference crown. For a while, I was right. But Harden went on a tear right on time, then his teammates caught up to him. They began looking like the team that was a Chris Paul injury and 27 straight missed threes away from a championship appearance. That team is back in the playoffs and looking just like their old selves. These Rockets lit up the best statistical defense they’ll see in the postseason, unless they meet the Milwaukee Bucks in the NBA Finals. If they keep it up for three more games, Houston will then meet Golden State in the second round. Their rematch would be a round earlier than they anticipated, but if they advance, their pathway to the Finals is as easy as it’ll ever be. The Jazz won’t come out and be embarrassed again. Utah will make changes, figure out ways to get better and come back with a chip on their shoulder. But if a top-two NBA defense can’t stop the Rockets on a modest night for James Harden, what are the rest of these playoff teams supposed to do? If only for one game, Houston looks ridiculously good. If this is what we’re to expect on a nightly basis, the real NBA Finals might be in the second round.